Where to, with the International Criminal Court this year? Much has been put into it, and even more written about it. But the body continues to receive submissions and requests in terms of indicting war crime suspects that seem to gather dust. When efforts have been successful, the usual charge of partiality towards Africa is suggested. The current chief prosecutor of the ICC, Fatou Bensouda, assumed her job in June 2012. Since then, she has introduced a certain stutter to the workings of the court. In some cases, these stutters have become more prolonged. In December, Fatouda announced that she would drop charges against Kenya’s president, Uhuru Kenyatta, for his purported role in the bloody violence that followed the 2007 elections. The reason: a lack of cooperation between his government and those working for her (New York Times, Jan 10). Bensouda’s headaches are set to become full blown migraines. There are allegations of torture against US forces in Afghanistan that are awaiting her keen attention. Legal watchers are wondering if she will take the matter to the stage of a full investigation. Then there is the issue of Palestine, which joined the ICC last week, wishing the ICC to get itself busy in investigation alleged crimes committed on Palestinian land since June. Palestinian Authority President Mahmoud Abbas signed the Rome Statute of the ICC on December 30. In a statement signed by Senators Lindsey Graham (R-South Carolina), Robert Menendez (D-New Jersey), Chuck Schumer (D-New York) and Mark Kirk (R-Illinois), a not so well veiled threat is directed against the PA. “Existing US law makes clear that if the Palestinians initiate an ICC judicially authorised investigation, or actively support such an investigation, all economic assistance to the PA must end” (Jerusalem Post, Jan 12). The money is not negligible: $400 million in aid provided on an annual basis. Jen Psaki of the US State Department decided to make that now customary assertion that the Palestinian entity, seeing that it does not formally exist as a state, can’t initiate any actions against a belligerent in terms of war crimes allegations. This is the language used against the minor wounded, abused and incapable of seeking redress – except through mediated channels. Such a sentiment shows that the power of the purse is often linked to that of political purpose. If Abbas pursues the rather withered arm of international law against Israel through a formally acknowledged international body, the PA will be punished. When Israeli forces engage in the next high intensity conflict in urban areas resulting in the deaths of hundreds of civilians, US funding to the IDF, far from being stopped, is bound to be increased. Hamas will be singing songs of praise. Abbas himself is not immune to using law as both shield and cudgel. Membership of the ICC has been viewed as one of the steps towards Palestinian independence. Praise for his leadership among Palestinians is certainly far from abundant, and rivals Hamas continues to do well in the wake of last year’s war against Israel in Gaza and the failure to pass a UN Security Council resolution seeking an end of Israeli occupation of Palestinian territories by 2017. The Palestinians are by no means the only ones who are being frustrated. Globally, efforts are being made to fill the ICC inboxes with pleas and appeals. The Committee of the SEARCH Foundation, to take one example, has been busy attempting to bring former Australian Prime Minister John Howard before the court for his role in sending Australian troops to Iraq in 2003, arguing that it has exhausted every domestic avenue. The ICC remains silent. That said, the body should be busier than ever. But the swords of the prosecution are, in a growing number of cases, being sheathed. Leila Nadya Sadat, special advisor on crimes against humanity and an ICC prosecutor, sees a far more crucial problem in the international legal system. 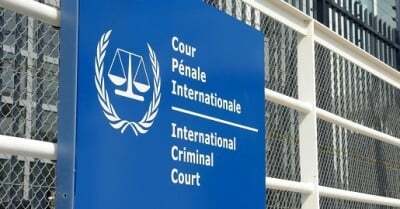 Critics have misidentified the source “of the current difficulties with international justice.” It is not the ICC, which is “thriving” but “states refusing to join cause with the court against genocide, war crimes and crimes against humanity” that are damaging the cause (St. Louis Post-Dispatch, Jan 11). Legal specialists will be looking on rather glumly at the fact that the forces that seek to evade that every issue of joining cause are countries such as Israel and the United States, the biggest critics against recent Palestinian efforts. Shelving cases will do everything to suggest that prosecutions are illusions at the international level, with the grand exit clause for every brief: taking a leader to book for crimes of war, humanity and genocide will fail for want of ease and consensus. In the words of Duke University law professor Madeleine Morris, “If it [the ICC] acts, it will be very much criticised and if it doesn’t act it will be very much criticised” (NPR, Jan 11). That should never be an excuse, but politics remains both an advancing cause and a crippling defect in the cause of international law.